When we die, there are a few things we all hope will happen. We hope that we will be fondly remembered, or, at the very least, we hope people will show up to our funeral. We hope we will be buried in accordance with our wishes — whether that means cremated in an urn, in the family crypt, or six feet under in a well-appointed casket. We also hope — and this is a big one — that we don’t explode. Oh, you don’t think about that last one? Well, if you’ve ever been implanted with a blood pressure monitor, a bladder stimulator, or a pacemaker and you’ve opted for cremation — the most popular body-disposal method in the U.S. — perhaps you should. Because, when exposed to the high heat of the incineration process, these things have been going off like party poppers on Mardi Gras in the bodies of the recently deceased. 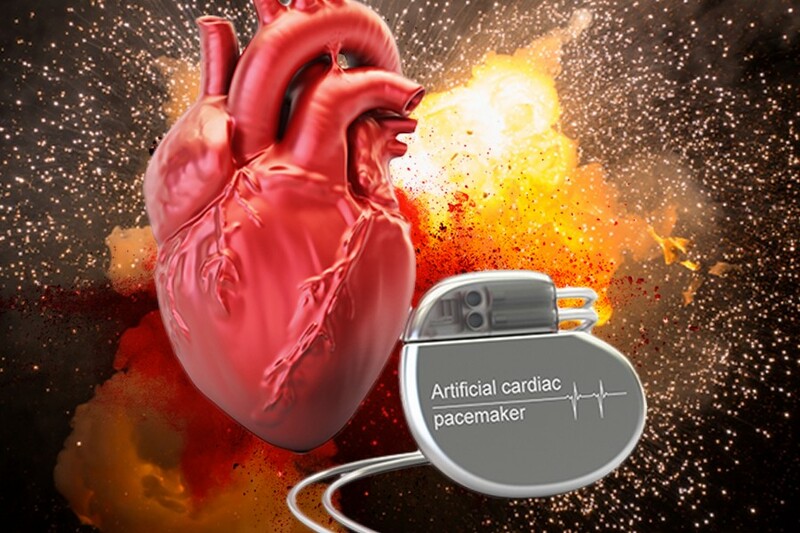 A post on Slate this morning explains how a study in the U.K. on pacemaker explosions at crematoriums reported that nearly one half of all crematoria staff in that country witnessed an explosion in their facility as the result of an implantable device. The reason for the uptick in exploding corpses, as Slate points out, is perhaps due to the devices’ small-yet-energy dense lithium batteries, which, if you’ve heard anything about the recent glut of exploding cell phones, makes sense. When exposed to extreme heat, these batteries tend to combust. Crematorium chambers get hot — like, 1,800 degrees hot. So it’s no wonder these things are popping off like a Ukrainian ammo dump. Crematoriums are already taking steps to prevent situations such as this. Staff have begun employing metal-detecting wands, like those used by the TSA, and they’re asking family members to detail what, if any, devices their loved ones might have been implanted with. Sure, these are bodies already being incinerated. And yes, they’re already dead. It’s not like it’s going to hurt them. But committing a family member to the great beyond is about giving them a dignified burial, and no one wants go out like the Hindenburg — even while they’re turning to ash. Canada to Soylent: Your shakes are not a replacement for actual, y’know, food. God-king Donald Trump stops his playground slap fight with Jeff Flake and Bob Corker long enough to declare war on the nation’s growing opioid crisis. Doing good deeds isn’t just good for others, it’s good for you, too. Baby food, now with a side of rat poison. In today’s “no, duh” news: Ladies, I can’t believe I need to say this but please don’t douche with apple cider vinegar.